It has been awhile since we’ve read a book together, aside from the Bible. We didn’t read Wonder together, but all of us except the youngest read it in a short period of time. Apparently they all want to see the movie and wanted to read the book first. I wondered, why? Books are typically better than movies adapted from them. A number of schools are having their students read the book. Perhaps that will help kids from having the traumatic memories that made this a difficult book for me to read. I read it while flying cross country. It is a quick read. But it was an emotional read for me because it tapped into a number of old wounds. Wonder is about a number of things. The central character is Auggie, a young boy who has a confluence of genetic disorders rendering his face deformed, even after 20+ surgeries. It tells this story from a variety of perspectives as many of the main characters get to tell their side of the story. Each section has a different narrator. Except the parents. You never see their side of things. As the parent of a child with “special needs” who has had 10 surgeries so far, I can identify with some of what they experience. His issues were not all consuming like Auggie’s. But you certainly feel protective. As my son continues with speech therapy, I am aware that many kids may not understand him right away and his circle of friends is very small. And he has a protective big sister, like Auggie. After years of being homeschooled, Auggie goes to “real” school at a smaller prep school near the family’s home (this will make home schooling parents like myself sigh- since she seems to express an common prejudice). The book is about this year of transition for Auggie, his sister who started high school, and the people in their lives. The story reminds us that those who seem to have it all together often don’t. Those whose life seems to be a mess often do have it pretty together. Auggie and Via’s parents aren’t perfect. There are some arguments with kids, and each other. In some ways they have been consumed by Auggie’s needs. But they are kind people. Other kids who come into contact with them find this family a healing environment. You don’t have to be a perfect family to be a welcoming family. Many of these children had problems at home and needed that healing environment. The story is about the challenges of relationships among children. The betrayals, pressure to be popular, power plays and more. Some children flourished thru the difficulties (even after initial failure), while others crashed and burned. It is about how prejudices can control us so that we miss out on great people. Even worse, so that we can harm well-meaning people. It can make you think about the people who pulled away from you. Maybe something was going on that had nothing to do with you. You hurt. But there are things in people’s lives that drive decisions of which we know nothing. It can help the parents of kids with medical issues to remember there is more to life than medical issues. My son isn’t his medical issues. They affect him, and his relationships, but he is so full of life. It is what his eyes hinted at when others only saw his cleft lip. It invites us into the wonder. In some ways this seems to be a “God-haunted” novel. There are quotes from the Chronicles of Narnia. But there is also a quote by Confucious. It is a book filled with longing, but not really pointing outside ourselves to the key to kindness, love and hope. Similar to the principal’s speech it settles for “political correctness”, or so it seems. I recommend the novel, just not on a cross-country flight, especially if you have experienced many of these hard times in middle school. This trailer indicates that the movie took some liberties with the book. They changed some timelines and conflated events. But we’ll see it soon. It started with an ad in Discipleship Magazine. I was a relatively young Christian and noticed the ad from Ligonier Ministries for a free copy of R.C. 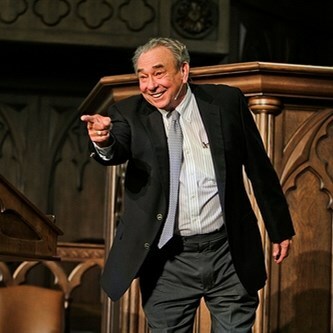 Sproul’s Holiness of God series on VHS. Yes, this was the late 80’s. I really didn’t know what to expect. My only experience with “Reformed Theology” was “Reformed” or Liberal Judaism. I was still a bit frightened of that word ‘holiness’. As many discovered, it was a great series. I began to buy books and tape series for my cassette player in the car. R.C. taught me a whole lot of theology before I went to seminary. He didn’t just introduce me to Reformed Theology but also (along with John Piper) to the Puritans and Jonathan Edwards. When I was looking at seminaries the ad for RTS caught my eye. Jackson, MS? Me? Perhaps it was too many viewings of Mississippi Burning on the Movie Channel, but I didn’t see this Yankee doing well in Jackson, MS.
Later there was a new ad for a new campus with R.C. as one of the professors. I could handle Orlando. I was looking to get away from the snow. When I got information from RTS they offered a prospective student offer that included free admission to the 1991 National Conference in Orlando. So I made a call, booked a flight and discovered Orlando was the place for me. Somehow at one session I ended up in the front row talking to Vesta. While I was there I had R.C. for Systematic Theology III (Christology, Soteriology and Eschatology) and a seminar on The Sermons of Jonathan Edwards. For one class, John Gerster was in town and led our discussion for his former pupil. Most of the time, there was Vesta sitting in the back with his soda while R.C. taught. It was not all bliss. There were some conflicts on campus. It was a little like Corinth at times. It was mostly the students, but it was apparently there was some friction in the faculty. Somehow I didn’t get very caught up in that (I’m often loyal to a fault). After seminary I ended up working for Ligonier Ministries. I was in the phone room during the era when they wanted seminary trained people answering the phone to answer theological questions as well as take orders. In many ways it was a great time. I worked with some people I knew from seminary, and some other great folks. I got to travel to Memphis, Atlanta, Anaheim, St. Louis and Detroit to work conferences. I have fond memories of frisbee golf, a rotating restaurant in St. Louis, meeting John Piper, sharing an elevator with R.C. and going to the occasional taping. R.C. would warm up the crowd with baseball trivia. Before they built the studio on site, they recorded at Greg Rike Studios where I discovered the signatures of Deep Purple’s members since they recorded Slaves and Masters there. I had the privilege of writing some articles and reviews for Tabletalk Magazine while I was there. I also had the privilege of preaching at the chapel for the 25th anniversary of Ligonier Ministries. Nothing lasts forever. I wanted to be in pastoral ministry. I decided to go to seminary for a Masters in Counseling to increase my skill set. Having recently joined a PCA church, I came under care of the Central FL Presbytery. This was the meeting when R.C. requested to “labor outside of bounds” for the new church called St. Andrews. It was a politically charged meeting due to some controversial statements and the fact that he wasn’t physically present. Shortly thereafter there was a change in philosophy regarding my job description. I had reservations but didn’t get to find out how it would go as I was laid off that afternoon. I’d made the wrong guy angry (not R.C.). R.C. was very personable, but not very accessible. Keep in mind, I was nobody. Still am. He was a very busy man and I think he still worked at the golf club at the time. It can be hard to meet your heroes. He was a man who needed Jesus, just like me. The sanctifying grace of God was at work in R.C.. Years later I discovered that he and the other professor had reconciled and did some work together. The last time I saw him I wondered if he would recognize me. There was no “hey, Steve” but that’s okay. I was not an important person in his life. He was already on oxygen and likely distracted with his own limitations. If you listen to his sermons and audio series you’ll learn a lot of theology, and a lot about his life. Perhaps that is one reason I use personal illustrations. There are some issues I disagree with R.C. on, like apologetics. But on the main issues we are in sync. The church owes him a great debt. He was one of the main figures in the Chicago Statement on Inerrancy. He made theology accessible to ordinary people. He was one of the key figures in the revival of Calvinism and Reformed Theology in the American church. He was greatly used by God. I owe R.C. a great debt. I’m trying to pay it forward like I should. 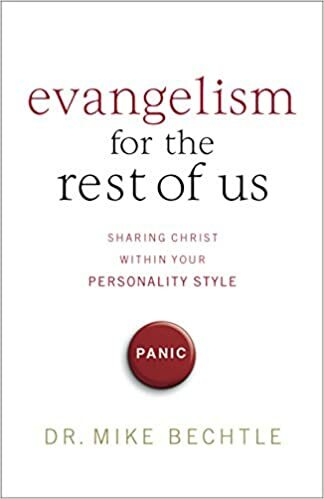 In the next two chapters of Evangelism for the Rest of Us, Mike Bechtle discusses biblical methods of evangelism and personal techniques which reveals something of a (good) tension. The methods that we use should be biblical, but that doesn’t mean we’ll all use the same method. Or that each of us won’t use the same method each time we bear witness to Jesus Christ. Scripture includes God’s passion for His glory in the salvation of sinners which includes our bearing witness to Christ’s person and work for that salvation. If Scripture is our norm or authority (it is! ), then it reveals to us methods of evangelism. We should pay attention to the contexts of those examples of evangelism as well as how they parties involved interacted with those who don’t believe. Some of them came to faith, and others did not. Not everyone Paul and Peter (and Stephen among others) shared their faith with came to faith. We should not expect everyone we share our faith with to come to faith either. We should have realistic expectations. One of the examples Bechtle brings us is from 2 Kings 7 dealing with the lepers who discover Israel’s enemies had been defeated and tell the people starving in Samaria. I struggle with this example. I agree with his premise: evangelism is “one beggar telling another beggar where to find food.” A number of others have made this assertion. They are reporting a redemptive act on Israel’s behalf. I guess I struggle with this as an earthly deliverance. It really isn’t the gospel so much as a type or foreshadowing. He needed to develop this further to show how this earthly deliverance connects with God’s covenant faithfulness revealed in Christ who died for our sins and kept the law for us. This is an example of the ‘imperfect witness’ he discusses next. What I’m saying is this. At times Bechtle himself is not really clear about what the gospel actually is. For instance, later in this chapter he misses or neglects the reality of the double imputation I mentioned above: His bearing our sin and giving us His righteousness. Salvation is not less than forgiveness but more than that. It is about pardon and being declared righteous (not simply innocent). We are imperfect witnesses, and won’t say everything right. He still sin, and we don’t always use the right words. In a book we can’t include everything (this intends to be a short book, not a tome). But we should be as clear as possible. We evangelize as justified people, not people seeing to be justified. We are righteous and have an established, unchangeable status with God. We are not trying to earn said status. This means, in part, that we can be honest about our sin including sin toward those we want to tell about Christ. That very sin may be what opens the door to talk about Christ’s work for us. We should be authentic, not used car salesmen, who own up to our weakness and struggle but rely on the supreme and sufficient Savior. Bearing witness has an objective aspect (what Christ has done for sinners), and a subjective aspect (our testimony about how Christ worked in my life). One way of thinking about evangelism is to introduce mutual friends. Bechtle notes that we often go by personal recommendations when looking for someone to fix our car or home and a doctor to help us with a health problem. We aren’t selling a product, but recommending a person. We can’t make the person entrust themselves to Christ.We persuade, extolling His virtues and connecting them with their needs. He mentions some pictures of this persuasion: salt, seed and light. In terms of salt he mentions that we often present the gospel in small doses, numerous conversations. We want to make them thirsty, preserve them (restraining sin) and provide some flavor. Too much salt hinders growth. In terms of light we reflect the light of Christ, shine on Christ instead of self. Seed is something we sow, but it grows apart from our work. We only control an environment. Not all the seed will grow. Growth, or harvest, takes time. It is not immediate. All of these pictures remind us to relax. Don’t focus on results so much as the process. In our current culture we should be aware of the loss of civility. Being salt and light means being gentle and respectful, not forceful and angry. We can be passionate, but also humble. We can’t be so worked up about moral issues that we forget our own need for the Savior. By knowing the people around us, we can speak to them during or after the “earthquakes” that take place in their lives. They all have them. You have to be there beforehand to gain trust. He notes that often we put up obstacles, thinking that being a good witness is filling our cubicles with “Christian posters” or knick knacks. We don’t have to force Jesus into every water cooler conversation. But we can and should “build relationships with fellow employees based on the common ground found in our daily tasks.” The same is true for neighbors. I don’t walk around spouting off Scripture verses. I’m building relationships with some based on common interests. We are intended to live among the lost, and you do. You may not like it and may run from it. Salt, seeds and light must be present to make an impact. As I recently told my congregation, you are here for the gospel. That “here” is home, office, neighborhood etc. But God placed you “here” for the gospel. In the next chapter Bechtle reminds us that not only will one size not fit all for us, it won’t for the opportunities we have to share the gospel. A hammer is very helpful if you are driving (or pulling) nails. It is not so helpful for driving screws, cutting wood or wires, laying concrete etc. You need a tool box of evangelism techniques to share the gospel with the various people you know in the many different contexts. You should be building your tool box as a result. It is helpful to be familiar with evangelism explosion, the bridge illustration, the Romans Road, Two Ways to Live, the Great Story (creation, fall, redemption & glory), cultural connections (the trending section on FB to know what is going on), etc. The better you understand the Bible, the better you’ll be able to communicate it to people in a gracious way that meets their circumstances. You don’t want to be one of those people relying on a 12-in-1 tool all your life (helpful in emergencies but not too good for intentional and varied work- if that is all your contractor has, get a new contractor). Some will “fit” you better. Know your limitations, as Dirty Harry advised. Set healthy boundaries in light of your resources and limitations. Who you are may also shape the means of evangelism. You could use these methods and techniques in street preaching or blogging. They are very different, and not for everyone. Engage in evangelism using the gifts and interests God gave you even as you share about your weaknesses, struggles and needs. This is moving us from sales pitches to customer service. It also moves us from expert to information gatherer. Learn from the people you want to share with. Ask about their work or hobby. That is part of relationship building, but also gaining knowledge you can use in the future in other relationships. Be a person who grows in wisdom and favor with God and man. This will make you someone more comfortable with and likely to engage in evangelism. In the midst of his discussion in Evangelism for the Rest of Us, Mike Bechtle asks what they would do. You might think he’s speaking about the people with whom you are sharing the gospel. Or other people, like those extroverts, who use other methods. He’s really thinking about Jesus and Satan. In two separate chapters he addresses each respectively. The first of the two chapters focuses on how Jesus interacted with people. There are some speculative questions, just to prompt thoughts. I have no idea if Jesus would go on TV, and don’t actually find it to be a helpful question (Bechtle isn’t focusing on that so this is not a criticism of him). He does go to the fact that Jesus “came eating and drinking”, essentially doing things that the religious people of His day looked down upon. If Jesus showed up on TV, it wouldn’t be TBN. It might be CNN to talk to Larry King. Bechtle has 2 assumptions: Jesus wants to impact people eternally, and He’ll use appropriate methods to do that. What do we see Him doing? Jesus went about His daily life and ministered to the people He met. While on a mission, Jesus wasn’t necessarily like a missionary. But for 3 years Jesus was an itinerant rabbi. He focused on His disciples. But there were times when He traveled the countryside speaking to crowds. Most of the time was ordinary. 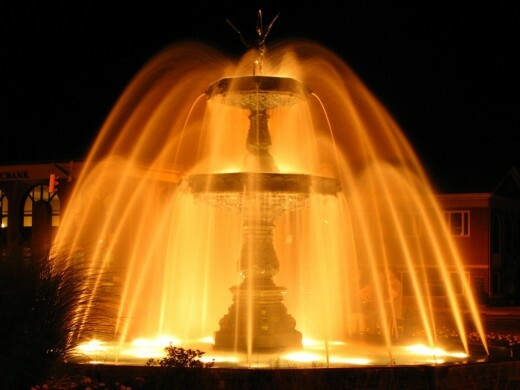 He encountered people in every day life, like the woman at the well, and talked with them. He prayed for God to work through Him. We see Jesus taking time to pray. Fully human, Jesus relied upon the Holy Spirit in His ministry just as you and I are supposed to. As “the perfect man” He was perfectly dependent upon the Father expressed in prayer. Bechtle then applies this to us in the 21st century. Minister to the people you encounter while going about your daily life. Perhaps you need to pray to see the ministry opportunities available to you every day. The person in the cubicle next to you that is going through a rough patch. Your neighbor with ordinary problems. Jesus simply lived in proximity to people. So do you. See those ordinary encounters or interactions as appointments. Maybe you simplify your life. Live closer to work or church so you have more time. You don’t need to meet every need you come across (we are often driven by what the media thinks is important). But be open-hearted toward those in your path. Meet people where they are and help move them closer to God. Yes, that is odd terminology if we want to be overly theological. Yes, you are either in Adam or in Christ. We are talking about the process of evangelism. Engage them on one pertinent issue that comes up. Not every conversation turns into the 4 Spiritual Laws. You may just listen to them to better understand them, but willingly engage people. He spends time talking about listening. We aren’t listening to challenge them, but to love them (which may include challenging their thinking at times). Listening builds trust as well as understanding. It is interesting to ask people about their jobs, most of the time. But you learn things about people, ideas, areas of knowledge. Listen to love. Bechtle then turns the table, so to speak. He talks about what Satan does in order to keep us from bearing witness or being effective in bearing witness. If we pay attention to the NT, we see that Paul wants us to aware of Satan’s strategies. If we are aware of them we won’t be surprised or ambushed. He wants to keep us distracted. Whether it is focused on method, our sin, entertainment … Anything but bearing witness. It is easy to distract most of us. He wants to keep us divided. He wants us fighting about methods instead of actually doing evangelism. He wants us to bicker over just about anything: the color of the carpet, instruments and style of music in worship, how to administer communion, etc. He stirs up pride and envy. He wants to keep us deceived. While we have the mind of Christ, our justified minds are still being sanctified or renewed. There are lies we can believe that keep us from evangelizing others. It could be hyper-Calvinism. It could be racism (see Jonah). There are lots of ways he can deceive us so we don’t bear witness. One Bechtle mentions is focusing on Satan’s power instead of God’s infinitely greater power. He wants us to be discouraged. He does this with unrealistic expectations. Reminding us of our sins and mistakes so we feel like failures. 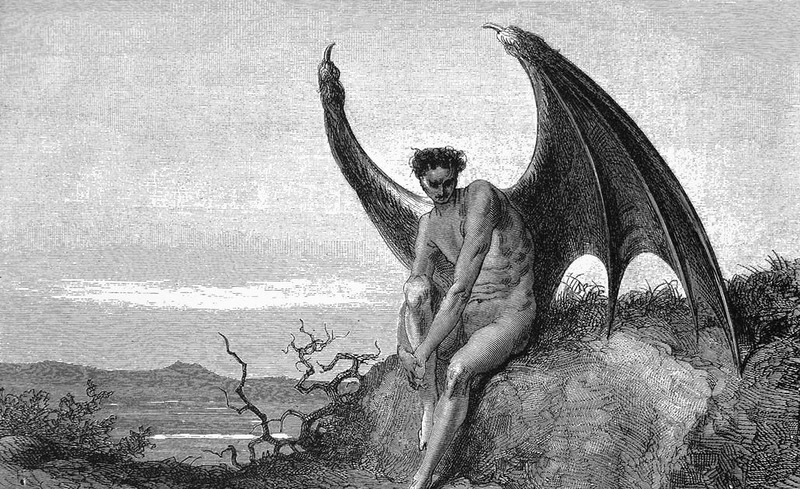 In keeping with this overall strategies, Bechtle offers 10 ways Satan schemes to disrupt our efforts. He tempts us to sin. Whether or not we actually sin, the reality of our corruption is exposed and we can be paralyzed by guilt and shame. We need to keep our eyes fixed on Jesus, the Author and Perfector of our faith. He works against and outwits us. He knows our weaknesses and patterns. We need to be aware too, so we’ll know the places he’ll strike. He appeals to our pride. This the “mother of all sins”. One manifestation is seeking to be liked and respected. Our pride will take offense at any slight and detour evangelism. We should be humbling ourselves under God’s mighty hand, remembering that He opposes the proud but gives grace to the humble. He lies. It is his native tongue. We need to know the truth better so we can spot the lies. He works on our hearts, manipulating our emotions and passions. Scripture reminds us to guard our hearts lest it be tainted by bitterness. He convinces us to be friends with the world. This means we’ll minimize sin and participate in sin w/out a thought. We are to be friends with God who loved us and gave Himself for us. The world doesn’t love us and give itself for us, but kills us if we oppose it. He engages in battle against us. Put on that armor: truth, faith, peace, righteousness, salvation, the Word & Spirit and get to fighting. He pretends to be an angel of light. This is part of the deception. He can distract us with “good causes” that are keeping us from the main fight. The gospel does have social implications, but if we make them the main issue we’ve lost. He’s vigilant. Be watchful too! He interferes with our ministry. He’s like the heel in wrestling who cheats whenever the ref isn’t looking. Expect it at every turn. Don’t give up but keep trying. Not the best chapters in this book. But there were a few things worth considering. He could have recommended a book like Precious Remedies Against Satan’s Devices. As you go, make use of every opportunity knowing that the enemy will oppose you at every turn.